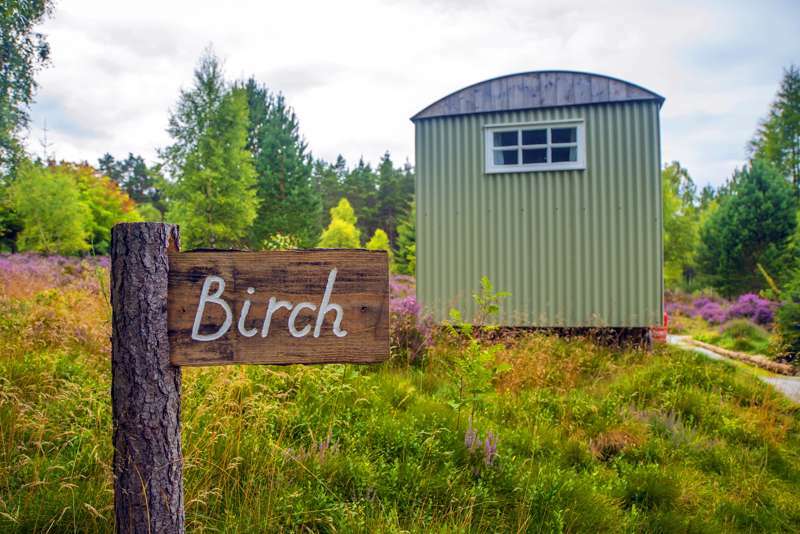 A natural retreat hidden away in the Findhorn Valley with camping and glamping spots to suit couples, families or groups of friends, and a whole host of activities right here, a stroll from your doorstep or canopy. For latest availability and best prices for Ace Hideaways, please use the Date Search above. 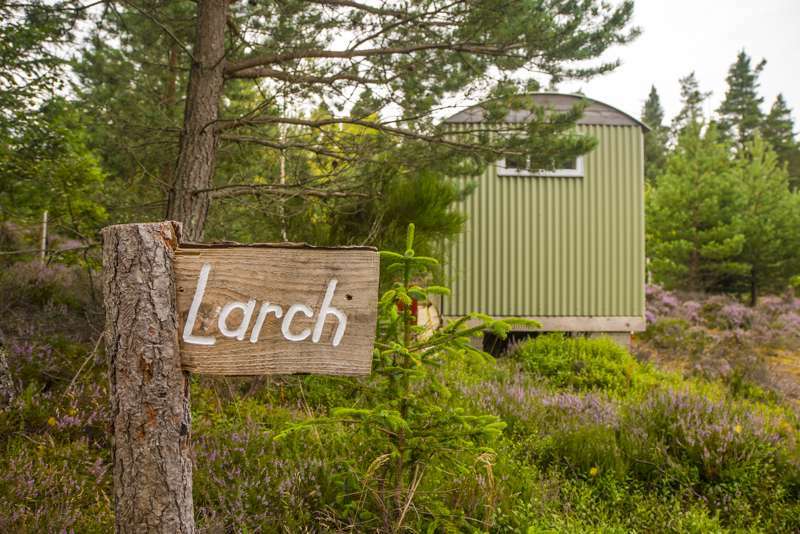 Woodland showers and composting loos, plus a well-equipped camp kitchen. Campfires are permitted! The shepherd’s hut features a full-size double bed with pocket sprung mattress, log-burning stove and a gas ring cooker. Bell tents feature comfortably mattresses but they're sparsely furnished and you'll need to bring your own bedding (sleeping bags available for hire). There's a firepit outside. 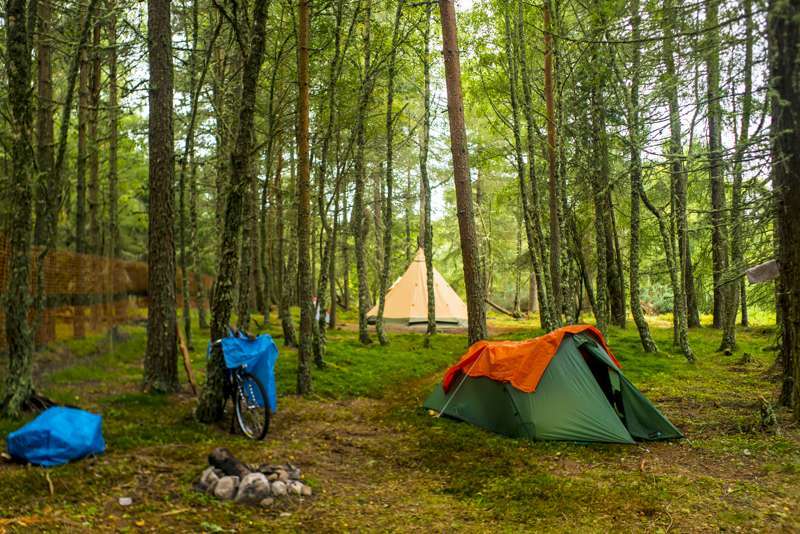 Woodland camping pitches allow for 1 tent and up to 5 guests per pitch. There are usually only 5 pitches available, but they can sometimes open a few more so do ask. Look out for red squirrel, roe deer, pine marten, and a whole range of abundant bird and wildlife. A whole host of activities are offered on site including, whitewater rafting, tubing, kayaking, canyoning, cliff jumping, disc golf and paintball – activities can be booked via the calendar (see above). 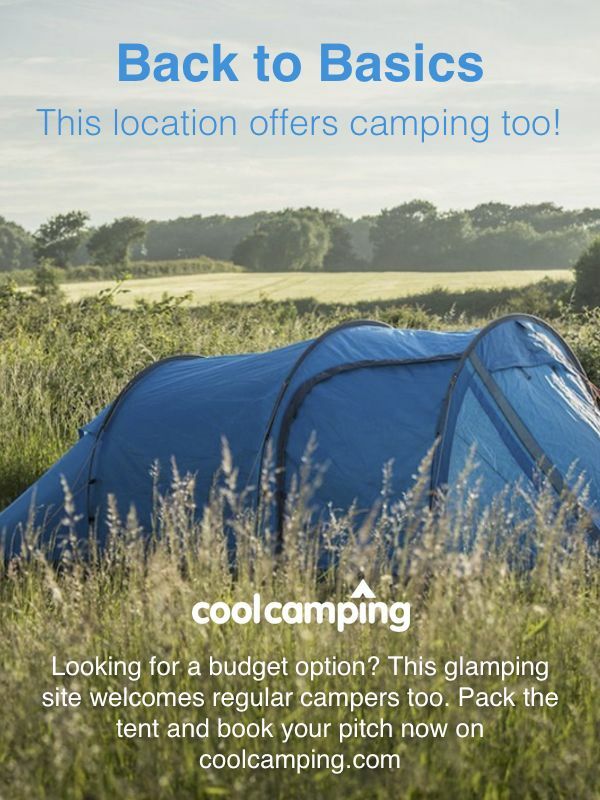 The campsite is around 2 miles from Logie Steading Visitor Centre (01309 611733), a good starting point for the local area where you can pick up further information. It's about 12 miles to the Moray coastline with its vast sandy beaches and fishing villages – a calmer spot along the North Sea coast, owing to the landscape's naturally protective shape. To the south the Cairngorms National Park (01479 873535) stretches, a more established spot for walking and cycling with more marked trails and the highest mountains – though you'll do just as well exploring the incredible landscapes of the local area, lesser known but equally beautiful in their own right. Loch Ness and a host of monuments and castles are all just a short drive away. The reception shop stocks a few camp essentials, plus hot drinks and chocolate bars! The closest place for a good, freshly-prepared, homemade lunch made with local, seasonal produce is at the cafe at Logie Steading(01309 611378), about 2 miles away (they serve great cakes and coffee too). There's also a range of artisanal shops at Logie Steading and food-wise you can stock up on delicious estate beef or venison for your campfire, Scottish salmon, cheeses, traditional oat cakes and other goodies in the farm shop. Try the freshly ground coffee, speciality teas or hot chocolates from Cairngorm Leaf and Bean (01309 611700) there too. If you’d like a decent pub lunch or supper, maybe with a walk on the beach, The Kimberley Inn (01309 690492) in Findhorn is a great choice. Forres train (08457 484950) and bus. Trainline is Inverness to Aberdeen. 3 bell tents for families or groups and a shepherd’s hut for couples. 5–10 woodland camping pitches with no electric hook-ups and space for 1–2 small scale, self-contained campervans.